"Paperless Proposal provides for real time collaboration and effective organization." Collaborative nature for distributed teams; ability to store and share latest versions of files; organizational abilities of system; ability to "hide" private docs; ability for clients to e-sign. I have found very little elements to dislike about the paperless product or customer service! I would highly recommend Paperless Proposal. It's easy to use, provides for organization, collaboration, storing and sharing of files, videos in proposals, ability to upload documents, and electronic signing by clients. Business problems being solved are disorganized distributed teams. We have seen efficiency among teams and in time to market with proposals. It saves us time and money in terms of staff time and helps us get information to clients when the clients are looking for it. Thanks for taking the time out to write this review. We're glad that our product is proving to be helpful for your company. Please contact support if you ever need any assistance. Templates make sending out consistent proposals. Tracking makes it very easy to see when they were open and by whom. I am able to have Paperless Proposal integrate with my CRM software and am able to track progress of different projects as they develop. I cover a large territory, and one thing that is VERY nice is if I am an a situation that does not require me to visit a client to drop off a submittal, I can send them a Paperless Proposal LINK, and not get in the car. The link is VERY important, as some of my proposals can be quite large, with high quality images, and be too large to send ans an attachment. Templates are where I like this product the most. I am able to utilize a few different templates, and get everything in order before I send them to the client, ensuring I miss nothing. It took a bit to manage the UI, bit its not that big of a deal. This was made better by their recent UI update. It is also possible for users to enter "dummy" email addresses for tracking, but I don't know of a way to work around that issue. Take the webinars that they offer. Proposals and samples are being sent out via Paperless Proposal. I am able to take a central source for my proposal documents and send them out to my clients. I can also distribute other material, such as brochures, sample drawings, and other email based contact solutions. the library doesn't show you when docs were uploaded last and also would be great if there was a search button to search thru the docs. If you are looking for a system to organize all your files and keep track of all your progress, this is your system. Paperless allows you to stay consistent amongst all your documents by allowing you to have a library which holds all of your company's files. We are able to keep all our files and past proposals organized in one place. This helps us save time because we can just duplicate past proposals and customize as needed. I like sending a link to my proposal and that I can see who has opened, read, and/or spent time in my proposal. I love the table of contents down the side so readers can click and locate what they are seeking from my section headings. I love the concept and believe when our uploaded documents are no longer corrupted (this is on us), this will work well for me. My company has been using the software long before I arrived. Quick proposal and pricing turnaround. Consistent. I really prefer the classic version of paperless proposal. It is easier for my eyes to focus on the information in a spreadsheet like format. Plus I had added a feature that is not available on the Thunder version. I like how flexible the development team is. I am not fond of the Thunder format. I find all the colors distracting and the entry lines are not clear since my eyesight is bad. Please continue to make the Classic version available to users. It is easier especially for people that are color blind or sight impaired. It makes our proposals more professional than other companies. Also I use it for monitoring business closed for my reps.
"Great Site for Creating Professional Proposals"
I like how easy it is to use and navigate. I had a very brief overview of the site from a co-worker then I started using it on my own. Simple enough to figure out but the instruction videos also helped if I had questions. I like how easy it is to upload pages and information. It's nice to be able to see what co-workers are working on different projects. I'd like to be able to duplicate a proposal to use for a new client but be aware of what to double check and change for the new client. I would recommend Paperless Proposal to anybody who uses proposals in the business world, from lawyers to salesman, it's a great product that allows you to be versatile and detailed. It's perfect for small proposals to large ones that have 100's of pages to them. It's fairly efficient and a time saver. It's nice to be able to send proposals electronically or create a PDF to print them if I need to. It's easy to make changes and edits to tailor proposals to certain companies. It's great to be able to share my progress with my other co-workers so we can work together on projects. It's easy to get a proposals together that are small, like 1-20 pages but also it's great for proposals that are larger, pass 100 pages. The organization is great to make sure we don't have anything missing. I'm a marketing coordinator for a large company and we use ClientPoint on a daily bases for proposals. The ability to gain analytics is crucial to understanding what our clients want most. 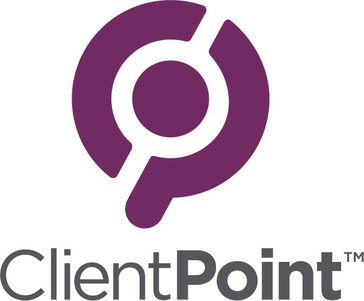 The most outstanding part of ClientPoint would have to be their customer support. They have been there every step of the way answering questions and troubleshooting any issues we had. "My" is an outstanding customer service agent and has help us use ClientPoint more efficiently. Some portions of the program do include coding. If you do not know html coding, customer support is there to help or you would need to have a person with coding knowledge on your team. The ability to analyse what information your clients spend more time. We have been able to determine what interests our clients most. "It's idea to get a message or marketing campaign to a few or the masses"
The tracking mechanism to see who's viewed the proposal and who they shared with. Easy to use dashboard. Initial setup can be daunting especially loading videos, brochures and spreadsheets. Also, local editing/merging documents within the proposal can be troublesome. In all fairness, their Support team was able to address every issue we've come across, and in a quick manner. Just know that there is a learning curve to uploading documents to the system, but the Support and Executive team is there to help you every step of the way. They offered meetings until we were ready to go live. After using the proposal for a few months, it's everything we knew it would be. Definitely would recommend if any group wants to track their proposal life cycle from beginning to end. Different templates for our different partners and direct clients. With Paperless Proposal, after the templates are completed, now we have one container in which to send documents out, have them reviewed and sign off. The benefits is we can adjust any template at any time for any of our clients. Some don't need all the products we offer, so in the proposal, it's very easy to remove anything a potential client doesn't need. "A Business Solution for Producing Quality Proposals with Real Time Analytics"
How easy it is to build a library of documents, use to create custom templates, and know that you proposal is free of errors. We have a team of users and we can easily access each others work when needed - from anywhere. Its also awesome to know when your customer has read your proposal and where they spend the most time, as we use that as an indicator of what's most important to them. We can then be prepared to expand upon that interest during the presentation process. Also, the analytics tools and key in determining success factors. Sometimes takes too long to add page numbers, but not sure if that is system or network issues. If you want to control the contents that is being sent to your clients and prospects, protecting your branding, you will want to take a deeper look at the benefits this software. Additionally, with so much emphasis on sustainability, we find each year we are producing less paper and more e-proposals. Paperless Proposal has increased productivity and improved the quality of our proposals. We can create customized proposals within minutes using templates, or customize by adding additional information from our resource library. We also know when the client has read our proposal so we can follow-up interest on more timely basis. "Trying to implement Paperless Proposal [PP] with a sales team of mavericks. " The organization of the content within PP as well as the tracking of the proposal once it is sent to clients. Our reps approached it as too structured and since its inception, we have discovered some hacks as well as asked PP to develop so functionality so we can more easily share documents and templates between users without the help of the administrator. Flexibility to share within the proposal creation process. Trying to give our reps more resources to share with clients as well as more insight into what happens to their proposal once it is sent. "Impressive to any client or prospect"
Can create a professional proposal in less than 10 minutes. I can see stats on what my prospects are looking at. Green option for proposal delivery. Can be viewed on any device. Perfect for teams that use the same basic content but still want the ability for full customization. My marketing team can update materials and have all of the reps using the updated info right away. Adding a clean and sharp cover page is very simple and quick. The process of saving a document can be cumbersome but I believe that has more to do with a slow internet connection. The program can get hung up if you don't have a fast connection forcing you to reload the page or log back in. Save templates that you like and build off of them to perfect the product. You will be surprised how much you will learn making proposal with this system. I would encourage anyone using Paperless Proposal to spend the time to make at least 5 different proposals before deciding on which style you like best. You will likely find that you can tailor your final product based on the specific prospect you are presenting to. Quick turn around on proposals allows us to get back to prospects in a timely fashion. Prospects are impressed with the proposal and the online availability. Adds the WOW factor when a prospect opens the proposal and sees how simple our offering is. Thanks for taking the time out to write this review. Glad to hear you are creating proposals much faster with Paperless Proposal. We agree that internet speed can sometimes slow things down but thats just how internet as a whole works. We are optimizing Paperless Proposal constantly to work more efficiently with as little internet bandwidth possible. Please contact our support if you need any assistance. Everything is at your fingertips and simply needs to be assembled. it's easy and has no limitations. It is flexible and allows for templates and overall efficiency if maintained properly. One of the challenges seems to be pulling info from the CRM correctly. A few glitches occure on some occasions. Managing the overall proposals; good, trash and archive could also be made easier. Overall this software has saved us a great deal of time. PP also allows us to quickly reach out to clients with all the information required. It allows clients to view things at their own pace and for us to track it. PP also gives us insight into how a client views a proposal, the statistics are really interesting and overall helpful when wanting to meet the clients needs. Other than are bid work, where we have to use someone else's forms, all are work is done on Paperless proposal. They have done a lot of work to customize our options, which have made it a more useful tool. It is becoming more helpful now that we have additional sales persons. Less for them to learn about the proposals and Paperless Proposal gives us more control of the content going out. Another positive is that Glen, Zach and the rest of their team are friendly, empathetic professionals. One never feels like they are getting are hard sell. They are there when you are ready to buy. Making wholesale changes can take time. It always did before paperless too. Would like to find ways to improve this process, but it is mainly an internal challenge. Considering the frequency of updates, it appears that Paperless continues to chip away at this problem. Love knowing the timing of when someone is looking at their proposal and what they spend time on. As with most organizations, left to their own recourse, many users would do their own thing and we would lose brand cohesion if it were not for this tool. Hope that we will see benefits from integrating the product with salesforce.com. Have not done this already, as we are in our first year of using salesforce, but expect to do this soon. I like the efficiency Paperless affords. The shell can easily be manipulated for different clients. While allowing our employees to present the same information in different formats. It gives the company control over branding and messaging, but gives each individual control over presentation and wording. We have many different vertical markets and we like to give examples and share case studies with our clients. We have uploaded case studies for all verticals and our users can choose which ones fit with the client. Support calls you within the hour to trouble shoot and show you how to solve problems yourself. Thanks! Sometimes the Paperless Proposal website times out, but everything auto-saves so it's not a huge problem. An FAQ page would be great for little things in Navigation or assigning/transferring to other users. Gives all users level playing field whether experienced or not. Using templates with customizable fields based on client name/vertical market etc creates flawless presentations every time. The final products are very similar if not the same across the company. We are all presenting the same message, using the same language, which is very important for branding. More organized, efficient, & uniform way of sending proposals. We're able to track where proposals are going, who is getting them out there and what the end result is. Controlling the formatting, font, color schemes is really important. Our proposals should have a uniform look and represent our brand. Thanks for taking the time out to write this review. We are happy to hear that you like our product. We're working on to optimize system performance even more. Please do contact our support if you ever need any assistance. It is easy to navigate and excellent to create paperless proposals. I love that you can go through the different tabs and everything is very organized. I also enjoy that you can have several admins and implement different proposals, while it showing you the status of your proposal, whether it won or lost. I also like how we can track whether the proposal was bad or good depending on who read it, how long they spent on the proposal itself. This helps the company figure out what we can change in the future in order for our paperless proposal to be successful. There are too many steps for the paperless proposal, which could lead into confusion but when you get the hang of it, it is perfect. Maybe add some more features, like including the arrows for the next slide on the power points within the proposal. User experience is important on this and people's instant reaction to the product is to click on the power point and it instantly going to the next slide through there if they click on the right or left side. We are creating an informational proposal for clients, about the efficient hire products we sell. We wanted to create a specific format for our clients to be able to understand in a easy and organized manner the way our products are and what they can offer to them. We have had several seen proposals which have been effective in the success of the understanding of the products. Allows content to be used repeatedly by preloading it, but also allows for customizations to be made. The software also helps track proposals. Can't think of anything specific at the moment. Consider using this software if you are preparing complex proposals that require a large amount of repeated information but also requires some customization from proposal to proposal. If you have multiple types of proposals, you can prepare folders in PP with stock information for each type of proposal or each product/service item or group of items. Letters and forms can be created as standard forms with editable sections to add details such as price etc. The software also provides the ability to upload files directly into a proposal. Can utilize all types of files, including video. We have reduced the amount of work required to produce proposals, significantly. We have improved the visual quality and consistency of proposals. "Cut time in half for preparing proposals"
Time is of the essence, as we all know, and to save time is a big win for us at our agency. We choose ClientPoint for the seamless integration of the many pieces to a powerful proposal, such as video, that can be included. It's all right there where you need it, and the time to replace client names and the interchangeable copy is alleviated. That along with the fact you can see everything the client has clicked and seen in real time make the sales process so much easier. This survey is the WORST site I've had to fill anything out in since dial-up days! Whoa is this slow and frustating because half the buttons don't even work! Client Point, I would run, not walk from this platform if you want to get your reviews. I almost quit several times. This saves time and helps know who is opening the proposal and when. This is useful so we can know when to follow-up. "Paperless Proposal grew our customer base! " I work with 10 sales representatives in our San Diego office designing proposals for prospective customers and updating them for current customers who sometimes need sales boosts. It's easy to use and provides a great looking proposal! I would like to be able to use more diverse designs. Think Microsoft Powerpoint with its many themes! It's a truly valuable tool that will help your business flourish! We are able to work with our different sales representatives who each have their own unique sales styles to come together and have a mutual product that brings everyone's sales techniques to the modern age! "Seamless Presentations & Fast Document Downloads"
I love the way the admin can find their documents super fast and the way the end user can view and download them in an easy way. For first time users it could be hard to find things in the dashboard, but I think practicing it actually helps and the training videos work as well. PowerPoint presentations made better! I love Paperless Proposal. I can add many files that are crucial to show to my end user/ client and they can view and download and upload files, seamlessly taking away the hassle of sending a million emails back and forth to send one file. This program totally understands the way a business wants to operate based on sharing specific and crucial documentation. "Paperless Proposal is an Outstanding Tool!" The ease in sending out relevant, customer specific proposals to market! We also like the amount of information you get regarding what customers are paying attention to inside the pages of the proposal, as well as who is looking at it. There isn't anything we don't like about Paperless Proposal. The only thing that would make it better for me is if it had been available 25 years ago! I would highly recommend this product to any company that utilizes proposals to acquire new business! It makes the process of assembling the pages of each individual proposal very simple and extremely quick. It also makes it easy to customize each proposal with specific information that is relevant to each individual potential customer. Paperless makes the proposals from each of our offices consistent with one another, so we are all sending out the same message. The ensures that we are sending out the same brand message when securing new business. While we are a new customer, to date I'm impressed with the simplicity of the system. It's user-friendly and is highly customizable. We have been able to take our existing processes and make them electronic, In cases of other software systems, it's common to have to modify your business to fit within the features and limitations of the software, and this has not been our experience thus far with Paperless Proposal. While I wouldn't necessarily classify this as a "dislike", I would recommend that in considering this (or any other) software, you really analyze your existing business processes and workflow in great detail. This includes paper forms, approval processes, etc. Investing some time and effort on the front-end of the implementation will make for a smoother, faster launch AND you'll recognize the benefits much quicker. The Paperless Proposal development team was very supportive and cooperative with us, but I think WE (as a customer) could have done a better job had we been more proactive in analyzing our workflow. While we have just recently launched, some immediate results have been the benefit of delivering a professional, consistent proposal to each customer. No more "I do it this way, she does it that way" when it comes to our brand. We expect that our sales reps will spend a fraction of the time generating proposals as they have in the past and will be able to focus on more high-leverage activities: selling! "Simple, Easy and Effective "
While my competition is handing customers hand written quotes, I am able to provide a professional dynamic proposal before I leave the customers site. Sometimes the GUI still feels kluncky and not as smooth as I want it to be. Worth a try. Support team is always available. Entire Sales Team is able to communicate about individual projects utilizing the Client Point interface from anywhere. "Fun, user friendly, and professional!" Proposals used to be boring to me. Everytime I create one now I am able to be creative and custom to what our customers want to see. It is also a great tool to show us who we really want to work with. The ones that take some time to get to know what we are about are the people we want to work with. Paperless proposal does a great job of aligning us with the best partners. I have not yet started uploading or doing any data entry so I probably would not enjoy that part of it. Use the system. It keeps everyone organized and keeps track of won and lost proposals. It is personable and user friendly. When we see people only looking at the price page, it is a good hint that they are only going for price and not value. Paperless is incredibly simple and easy to use. I am greatly appreciative of the fact that I can not only create proposals from literally any location on my laptop, but I also have easy access to view and download prior proposals for reference. There's not much to say here. Paperless Proposal continues to update their product regularly. If you're going to use this software - use it to the fullest extent of it's capabilities. Don't just use it for the statistics. Paperless Proposal offers customizable merge docs that can virtually eliminate human error. That is more powerful and professional than any aesthetic look or presentation your company can give. 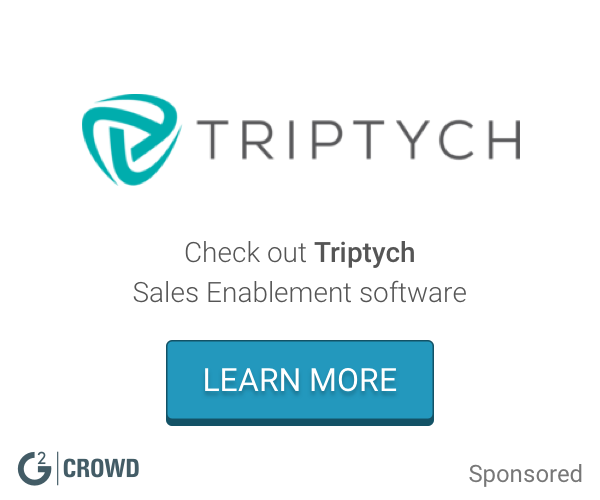 Across your entire sales team, you'll have consistency, along with ease of use. Problems we've solved: we have vastly decreased the amount of time we spend creating proposals; we have also reduced human error by utilizing Paperless merge docs. The latter is something we cannot fully express the criticality of. Our level of skills across all Business Development Managers vary greatly - simply from style to technical proficiency with Word. The merge docs will virtually eliminate the majority of human error within our scope & pricing exhibits. The merge docs will also make the same exhibits consistent among all BDMs. We're not creating exhibits any more - we're entering the information in one place and sitting back while the merge docs generate themselves. "Great interface, easy to use"
It's a very user friendly product and customizable. You can put together a professional proposal in just minutes and make changes simply and quickly if necessary. Certain modifications to files, need to be handled by their staff, however they do respond very quickly, sometimes within 10-15 minutes and things are complete. Great company to work with, their line is always open. Using less paper of course, but also being able to track the proposal time line, start to finish. Thanks for all the positive inputs! Please drop in some thoughts about how you would imagine the file modification to be on our support email. We'd love to hear from you about that and implement on our current development roadmap. "Paperless is a handily tool that I use on every opportunity to track the status of my proposals. " I like how user friendly the paperless proposal is. Tracking capabilities are wonderful you can see when someone looks at it; so it they are client that always is a rush but never looks at it now I know. Helps to pioritize my clients needs. If they person never looks at it for a couple of days I can send them the rough draft by their deadline and it looks finished and polished. I know that my custom drawings are not in but at least it has all the other information. Customers sometimes have problems downloading. Helps track the status of my projects. I can followup with my sales person or rep and let them know that their is activity on the proposal. "Paperless Proposal is an Awesome Tool"
This is the best proposal system I have ever found. It is easy to use. It is entirely customizable to almost any industry. It is easy to add or delete documents. The technical support is awesome. They respond immediately. So far there is nothing to dislike. The program is very intuitive and ease for new people to grasp almost immediately. Paperless Proposal offers a great green initiative to our customers. We are saving printing costs, paper, and a full time position has been eliminated since each rep can prepare their own proposals with minimal downtime. This takes several metric reports off of my to do list. I no longer have to track outstanding proposals or closing metrics, it's right there in Paperless Proposal. Thanks for taking the time out to write this review. Happy to know that you like our analytics and reports. Not sure why you're having to write cover letters in your pc first and then upload when we have the feature to type it directly in Paperless Proposal. Can you please email me over at our support email. I'd like to take a look on your cover letter and get it working right for you. I love how clean the proposals look and the ability to have a consistent platform for all proposals sent. I also like the ability to see how long a costumer looks at each section and who they have sent it too. The back end analytics tool is fantastic. I have not seen anything I dislike about Paperless yet as it relates to our old process of just binding together 40 pages into a physical proposal. I have already started reaching out to many friends and family members who are at the executive level in many different industries about Paperless Proposal and how fantastic the program is and how i think they should consider implementing it into their process of sending proposals. I have mentioned many of the added values Accurate has benefited from like the ability to send videos, customized greetings, the ability to track a prospects time spent looking at the proposal and the ability to see how long they spend time on each section. I have 3 companies interested in a demo and was going to reach out to Paperless to set them up with demo. Some of these companies are large health insurance companies and others are aggressive start ups with first to market technology as well. we are seeing which customers/RFP's are strictly going off of price as it relates to seeing what tabs they spend the most time on or what sections they skip over completely. The ability to have most of the document I need for a variety of types of proposals right at my fingertips. It is also nice to have different templates to pull from so I don't need to recreate the wheel each time. I also LOVE the upload a video feature. Adding a personalized video and message to the prospect is such a neat, cutting edge tool! It is very difficult to edit specifications. When you open a local edit, the formatting gets changed and mixed up. From what I see, the company is very willing to work with their clients to tailor the program to meet their needs. When things aren't working ideally, they are quick to respond with a solution. I am able to spend more time generating leads and out in the field and less time looking for documents to create a proposal. It is also very professional looking. Thanks for taking timeout to write this review. Happy to hear you like our product. Can you please shoot an email to our support regarding your specifications tool? What kind of changes you usually make and what formatting issue you're having? We'd like to take look into it and optimize it. "Great customer service and effective software." ClientPoint software has allowed our team to have better visibility into the prospect experience during the proposal stage of our deals. We have seen an improvement in the duration of the sales process through the automation and crm integration. Customer service from ClientPoint has been amazing! The backend ClientPoint syncs with Right Signature which causes the signing process to lag. Proposal loading times can be a little slow at times too. The business problems we solve with ClientPoint include reducing proposal/agreement errors, scalability, process automation, proposal visibility and better analytics. "Hands Down Easiest Proposal Software Out There"
Simple and easy, gives my clients a way to see their proposal right away. Very intuitive and easy for anyone to use. Nothing, so far no issues and support is awesome. This is a simple easy to use proposal system that anyone can use. Tracking, with multiple sales people it is easy to see what everyone is doing and be able to coordinate our sales efforts. "Great service and Great product"
Paperless proposal increased our productivity and the efficiency at which we created proposals for potential clients and completely revamped our process in writing proposals. As of now, there is not much that I can say we dislike. During the entire process, the Paperless Proposal team has been helpful in helping us set up a custom product that catered to our companies specific needs and desires. Some clients may be turned off by the fact of having to click into a link to view a proposal or information, and may be hesitant to input their email address. Additionally, a few people have had difficulty accepting and using the esignature function. It may be an expensive switch to start using Paperless, but the benefits far exceed what you can expect. We have more time to do research, and put more thought into the proposals, and create custom recommendations and put more information into each proposal, rather than spending that time trying to create a generic proposal. The design team did a great job making our proposals custom and professional. The greatest benefit is the analytics of the product, and all the information that is at our team's fingertips. All the information that every person on our team needs, is in the pipeline, and it is easy to see what our team members are working on, and the progress that they have made. We didn't know that we could be running at this high of an efficiency until we took the leap and tried it for ourselves. "Like using Paperless Proposal more every time I do! Easy!" Product is really easy to use and the support staff has been wonderful to work with and very accommodating. Very happy with its ease and if you make a mistake...it is very easy to fix! Everything looks really professional and first time users really enjoy it. Makes my job a lot easier! Not enough editing available and I would like our logo to appear on the link to click page. Sometimes the Paperless goes into the customers SPAM folder. Email page looks very generic and customers often question if it's really from me or not. Customer service only takes advice from a select few in the office and won't listen to the masses that use it more than the supervisors. Get lots of training and know the ins and outs of what is available. I didn't realize there were so many awesome things you could do until I used it more and more. Every time I use it I find that more quick fixes to use, try and may my proposal look like a million bucks!!!!! The more I use it the more I like it. I find more things that work for me and can duplicate it for another customer too. We are using it more and more each week and re-using old ones by adding more feature cut sheets, videos and information. I would highly recommend this to anyone that needs to send out a lot of information in a short period of time. I can see what pages they are viewing the most and see what their budgets are more leaning towards. Easy to send large files, photos, etc. We can certainly take care of your needs regarding email and the link that goes out. I would recommend that you please send out an email to our support. We can put logo/header and your branding into the email that goes from Paperless. Also regarding spam we can show you how you can send out the emails from your own email address that your prospect knows and trusts thus the emails will never end up in spam. Please contact support and we would love to take care of your problems. "Paperless Proposal Unifies Messaging for Both Marketing and Proposals"
Relatively sleek user interface. Fair amount of user training. System is far more designed for proposals than for drip marketing. Doesn't interface with bare bones Salesforce.com. Make sure you are clear on what your expectations of the system are - and that Paperless Proposal understands how to meet your needs. Three stage email marketing campaign was unified, and consolidated within the Paperless Proposal system. This makes for easier sending and far easier tracking of opens, reads, and forwards. However we thought we would be looking at more solid tracking than is available. However, it is much simpler than other products that interface with Salesforce but require outsourced help for implementation. "Paperless Proposal makes organizing and creating so much more effective." I like that I get to maintain my library of documents and use them as I need them. I wish there was an option to search for information within a document. A great tool for organizing your library of documents. We are creating better proposals and have been experiencing more consistency among our representatives in terms of the material they provide. The easy of use and the professional looking product are unmatched by any. There is an additional pricing if you want to use paperless inside of software like Salesforce/ Microsoft Dynamics. If you are going to use this software with a CRM software like Salesforce, ensure you get the additional pricing for that because that is not included in your initial pricing. It used to take me days/weeks to create proposals, even ones where I could use a standard proposal template. With Paperless, I can create a professional looking proposal in minutes. With Paperless you can have numerous proposal templates tailored to specific business sector prospects, and with very little input you can create a fully customized proposal. Having the ability to create a library of frequently used documents and templates with the ability of the Paperless team to customize them with client name merge fields is really handy. It helps to create custom proposals swiftly in a clean/presentable fashion. Additionally, I like having the ability to view all projects under one manage screen helps to keep track of pending projects. Some of the finalizing stages could be better modified for our specific usage. Sometimes customers want a specific format that will create additional editing in PDF after it has been downloaded from Paperless when it seems like maybe it could be an added feature to Paperless to assist in the completion stage. With Paperless, we are able to ensure our proposals are uniform in presentation. This really helps create a level of consistency that any business could benefit from. It gives us the control to manage how our company is viewed. The goal is to have a proposal generated in CA to look the same as one completed in NY. This also benefits our sales team members in that there is no guessing with format. It streamlines our production. "CSO - Head of Sales"
This product saves me lots of time. Once we set up the content library, we can duplicate and go fast. My customers love viewing content ( Videos, Documents, multimedia) in Paperless and they forward it to others in their organization. We get reports back on who viewed and what they viewed, for how long. This is high value information to the sales team. The quality of the output is exceptional and easy to follow for executives. The people behind the product are extremely friendly and helpful, results oriented people. I do not have any problems or dislikes. They fixed the response time with SSD and now it screams on response time. Go for it- it is a no brainer for most. Coverage with rich multimedia content that we can quickly personalize. More customers looking at our solution and more deals in pipe! This is an excellent sales tool especially when working with potential clients outside your region. Being able to combine video, visual tools and personalized content in a proposal for clients really sets us apart from the competition in an otherwise tired industry. Love it. We are separating ourselves in the market and we are staying a step ahead of our competition in this area. The analysis provided is giving us an edge in how we drive our sales process. "Benefits it offers are valuable but interface is a little clunky." Being able to see when a client opens your proposal and be able to contact them to review in real time. It is also nice to have template pages loaded to select from when doing proposals; this saves a great deal of time not having to recreate each time. I would like to be able to set some preferences to minimize redundant tasks. I think this product can improve the proposal writing process along with the way you submit your proposals. By having the templates pre-loaded it saves a great deal of time by not having to recreate the entire proposal each time. You can have dozens of different templates based on your most common proposal types. We solve the unknown of when a client actually views your proposal and are able to see just how much time they have viewed each page. Another nice benefit is to be able to see who within the organization the original contact shared the proposal. This gives us insight to the decision making process and who else we may need to engage. Putting together a proposal has never been easier, we rely on Paperless Proposal for a very quick response turn around for our customers. Only thing I can think of would be a mobile app for phones and tablets. Quicker turn around by inputting the information on site vs. waiting to return to the office. Simple and Easy to use and my customers love the quick turn around time. "One of the best Tools that we invested in since long time. Awesome product and amazing team." Almost everything is very well done in the product. However they might need to focus little bit more on their UI and come up with some more automation tools. Highly recommended to any business who want to have more clarity and control over their Potential customers. Paperless Helped our Sales team focus on most important deals and plan our strategy as per the actions taken by the clients. Their analytics are great and their Custom tools has helped us create proposal effortlessly. "Feature Heavy and Easy way to crank out proposals"
New to the software from a non-software based proposal editor and loved this. I found the back end to be slick and easy to jump into. The push to MS Word editing was easy and tracking features post send were powerful. Easy to use and standardized proposal generation with tracking for large proposals. The benefits of having an organization wide proposal generator were great. I love that this product allows us to see how much time a proposal is viewed. I love how easy it is to create proposals with the template files. Support of the product is wonderful. It's a little hard to configure the templates on one's own. Get the sales people's buy in and try to get one of them to understand the product like an administrator. This will help you build the product to its fullest potential. We were able create a standardized proposal between a diverse sales team and use it to professionally and consistently present our brand. "Paperless Proposal has become a vital tool in our growth and increased sales performance." The ability to personalize each customer contact with the ability to track and evaluate the customers level of interest. As a management tool we are now able to receive analytics which direct our marketing efforts and ensure that we are placing emphasis upon those efforts that produce the greatest return. There truly are no areas of dislike or concern. I would strongly recommend Paperless Proposals for any company who wants to optimize their sales presentations and finds value in the data (analytics) relating to such marketing efforts. I also use this program as a way to have my customers E-Sign contracts, addendums, etc. The paperless proposal tool has allowed us to solve the problems relative to expediting sales efforts and by way of use has increased our close ratio by considerable percentages. As a management tool I now have ongoing and real time reporting that keeps me informed as to my sales departments efforts and allows me to track progress and evaluate the dispositions on each sales effort. Glad that our product is proving to be an important tool in your sales effort. Please contact our support if you need any assistance. After getting the information back of our the time our prospective customer spent reviewing their proposal and the time spent in specific sections of the proposal. That way whether through phone call or an onsite visit I know by the time they spent in a specific section what is most likely a priority to their business. "You don't know until you know..."
*Makes our proposals look amazing and clients hall all possible info at the tip of their finger. *Learn what our clients find most important during viewing proposals. *Insure our clients receive and review proposals. *No Paperwork acceptance of proposals. *Unique fields to track info that is important to us. *Great customer service if there is a concern. *We did not start using this program sooner to learn more about our clients and streamline our proposal acceptance system. Give them a try. It has help us in ways we did not even know we needed help. *Tracking lead sources with the custom fields. *Providing client with all possible info they would need to make an informed decisions in one place. "Good program, easy to yuse"
The program itself is pretty user friendly. It has everything you need and also a good customer support line. I think that the program could run a little faster. Seems like run times are slow. Paperless Proposal makes it super easy to get information to our perspective clients quickly. It tracks all the proposal and allows us to have more control over the proposal process. A must have for any cleaning contractor. We know when prospects open the proposal and who they send it too. This really helps us gauge how interested they are in our company. There's not too much I dislike about the program. I did not like that we could not update our credit card information but we can do that now. If they could make it more user friendly when editing templates and adding files etc. would be nice but I'm sure that will come in time. Our sales process is so much more defined and easy to quantify. We know what proposals are out and can track the progress. "Our sales team has used this for over two years." As a sales Manager this is a powerful tool for managing our proposals. The analytics let us track when proposals are viewed and what is important to the customer. Tracking rep results such as close % is valuable to me. I also like that I can verify the content (pricing, specs, etc.) at any time. There is nothing significant that I dislike. It's just a matter of getting our people use to sending electronic proposals instead of the old fashioned way of printing them. But this is what our customers are now asking for. It's about time we can use technology to master the creation, delivery and tracking of proposals. This is a very effective solution. It allows our reps to generate custom proposals quickly and professionally as well as that I can ensure consistency in content. The ability to deliver proposals electronically is what customers expect now. I'm glad we have an effective and affordable way to do so. * We monitor all ClientPoint reviews to prevent fraudulent reviews and keep review quality high. We do not post reviews by company employees or direct competitors. Validated reviews require the user to submit a screenshot of the product containing their user ID, in order to verify a user is an actual user of the product. Hi there! Are you looking to implement a solution like ClientPoint?